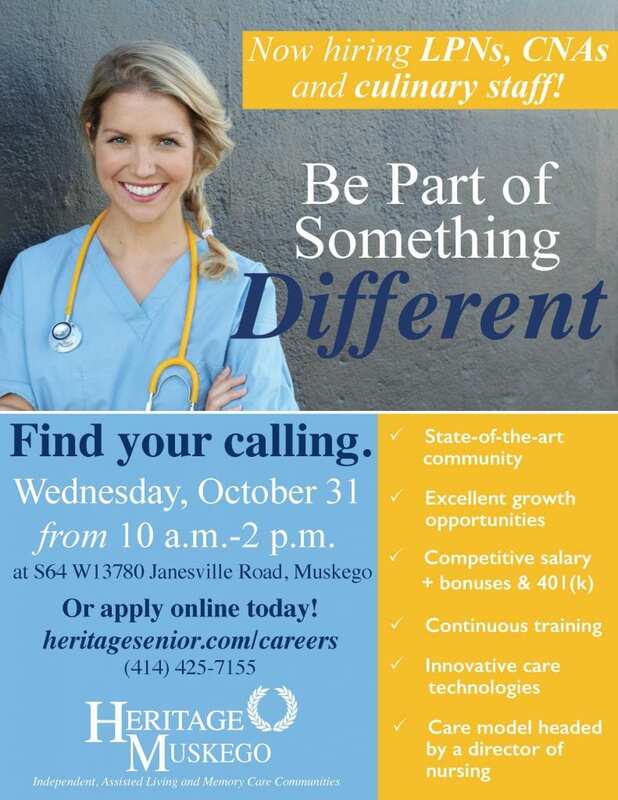 Find your calling at Heritage Muskego! We’re now hiring LPNs, CNAs and culinary staff for our new, state-of-the-art community. Heritage Muskego offers excellent growth opportunities, competitive salaries and bonuses, continuous training and innovative care technologies. Stop by to learn more about our community and meet our leadership staff!